Analysis: After a terrible mistake against Dortmund last year, the teenager even became somewhat of a viral internet sensation due to being embraced by his supporters afterwards – these saw the youngster’s despair and lifted his spirits. The teenager has now grown past that, evolving into a key piece of Stuttgart’s defense. Standing at 1.89 meters, the 19 year old is a clear presence in every aerial duel. Despite not being the fastest center back that you’ll see, Timo is not a slow player for his height. Clean, well timed tackles are what you’ll usually be able to witness from Baumgartl. Albeit still having a lot to work on, specially on things such as passing play, ball control and agility, with the right teammates around him I believe Timo can flourish from the get go. 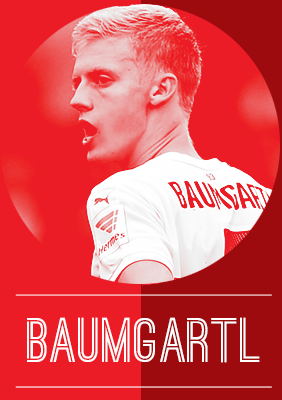 With a defensive midfielder in front of him who drops to pick up the ball and start off plays, and with a faster centre-back beside him to compensate for his lack of agility, Baumgartl would be in a really solid position to evolve as a player. Looking ahead: It’s obvious that a team that fights to keep themselves on the league will not have the resources to bring in every athlete they want, so this last situation’s completely hypothetical. On the other hand, playing for Stuttgart at such a young age will let the German grow as a player with regular starts in the Bundesliga and a tremendous fan base’s pressure to deal with it. These factors will make Baumgartl a very experienced player for his age, helping him grow in the National sides as well. A regular presence in the U19’s, Timo will start playing a part for the German U21’s very soon. Introduction: Swapping sunny Spain and the La Masia academy for north London was a journey made famous by one Cesc Fabregas. Hector Bellerin certainly had a lot to live up to. After a baptism of fire against Borussia Dortmund in 2014, Bellerin has now established himself as one of Arsene Wenger’s key men and the Spaniard is no longer an up-and-coming talent, he is now one of Arsenal’s leading lights. Analysis: Bellerin is the blueprint of the modern day full-back, coupling blistering pace – much has been made of Bellerin breaking Theo Walcott’s 40 metre sprint record – with sublime technique – as to be expected from a Barcelona and Arsenal youth product – and stellar defensive ability. It was no coincidence that Arsenal’s rise up the table in 2015 and FA Cup triumph coexisted with Bellerin’s introduction to Wenger’s side. In his 16 Premier League starts last term Arsenal kept seven clean sheets last season as he was one of the revelations of 2015. For someone of relative inexperience, naivety could be excused; however, Bellerin shows experience well beyond his years. 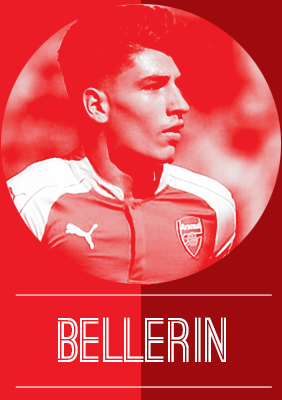 He is still polishing some defensive aspects of his game but Bellerin is always quick to press his man – the 20-year-old led Arsenal in crosses blocked (19) last term – and he is strong in the tackle. While carrying out his defensive duties are paramount, Bellerin provides fluidity and dynamism going forward, vital in an Arsenal side where the wide men rarely hog the touchline. The Barcelona youth product completed more dribbles than any other defender in the Gunners’ ranks (31) and only Kieran Gibbs (15) accrued more key passes than Bellerin (12) last term, as he scored two Premier League goals. Perhaps the greatest compliment to Hector Bellerin is how the Gunners fair without him rampaging up the right flank. Bellerin was absent against West Ham, Dinamo Zagreb and Sheffield Wednesday: Arsenal lost all three games. Looking ahead: The Gunners have suffered their perennial injury plague once again meaning Hector Bellerin’s importance will only continue to accelerate as they chase that elusive Premier League title. Having managed to dislodge an established French international in Mathieu Debuchy from the Arsenal side, the 20-year-old is on the path to greatness, where only the sky seems to be the limit. Introduction: One of the newest faces to come off from the assembly line of young talent that is emerging from Belgium, Timothy Castagne is a solid right-back. Born in 1995, Castagne, like so many youngsters, first got his chance for Genk against Club Brugge after the regular starters for his spot in the team were affected by injury. He started, and played the full 90 minutes that day, as the two sides drew 1-1, and made quite an impression at left-back. Ever since, he hasn’t looked back, providing a solid base for his team to build on. Analysis: Castagne is more of an old fashioned right back, as opposed to the modern full backs who love flying forward and acting like auxillary wingers. His solid defensive technique also lends him a certain versatility, and he’s filled in on either flank, in the middle, and in defensive midfield as and when required. His physicality is also impressive. While he isn’t the tallest, or the best built, importantly, he’s got a great engine. For someone who is primarily a full back, this is the most important characteristic. He’s also got a good cross to boot, and the only reason he doesn’t pick up more assists, is that he doesn’t really get forward all that much. Of course, spending a season working under Alex McLeish will put a tight rope on any wannabe wingbacks, and defensive discipline will be the key. Castagne is also well loved by the fans. He’s seen as a responsible and charismatic young player. A lot of people look at him as someone with leadership potential, and rightly so. He’s often seen standing up to take responsibility for negative results, and standing up for his team in the press. 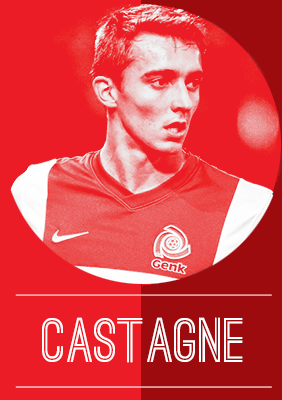 Looking ahead: Castagne is already someone who is looked at enviously by some of the bigger clubs in Belgium. He’s been strongly linked with teams like Anderlecht recently, and that, coupled with his good performances, won him a new contract at the club till 2019. Castagne is still quite raw, and maybe testing himself at a higher level is the way forward for the young man. Introduction: The tall, lanky Danish CB was born in the Lillerod, a small town located about 40 kilometres north of the Danish capital city of Copenhagen. He joined Brondby IF’s youth setup and spent 8 years at the club before making the switch to Chelsea, but he was on the wanted list of many top clubs around Europe like Bayern Munich, Barcelona and even Arsenal. He was one of the final signings of Portuguese boss, Andres Villas-Boas in his short tenure at Chelsea. In fact, after signing for Chelsea, Christensen said AVB played a key role in making his decision as he liked the kind of football Chelsea played under him. His exact words were “I have chosen Chelsea because they currently play the kind of football I like”. He signed his first professional contract with Chelsea though only in the summer of 2013-14 after the United States tour. His towering presence inside the box makes him a dependable option while defending set pieces and also while attacking corners. Ironically, yet unfortunately his first goal for Monchengladbach came as an own goal against Schalke, but his side eventually did win the game. Not one of the quickest around but he makes up for his lack of pace with his exceptional reading of the game. There has been a rapid rise in his development though this season after he returned from the U21 duty in the summer as he has made 16 appearances in total for Monchengladbach, tripling the games he played last season at Chelsea, of course there is a gap between the qualities of players at both clubs but it is still a remarkable feat for the youngster. 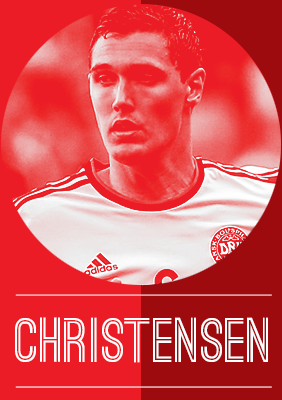 Looking ahead: Already tripling his appearances and developing and maturing as a solid CB, Christensen has 3 appearances in total for Denmark’s senior side so far. If he does continue his good form and development at Monchengladbach, and if things don’t change at Chelsea soon, then the lack of quality defensive options at Stamford Bridge could see him make a return to his parent club sooner than actually agreed upon while also garnering much needed experience internationally as one of the main defensive possibilities for Denmark. It is an exciting 2016 ahead for Christensen by the look of things. 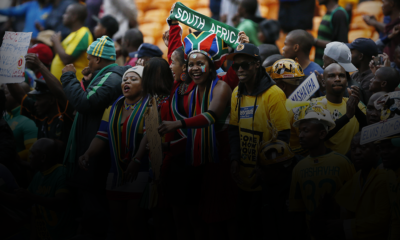 Introduction: In terms of fairytales, Rivaldo Coetzee’s story certainly fits the bill. Born in the small town of Kakamas in South Africa’s Northern Cape Province, Coetzee had to undergo multiple trials at Ajax Cape Town before the club signed the youngster. His perseverance has paid off and how as at just 19, he’s already a full South African International. Analysis: To be the youngest player to be capped by South Africa is no mean feat and Coetzee has the talent to back his startling rise in recent years. What makes his rise even more noteworthy is that he plies his trade as a centre-back. Attacking young players can be thrown into the deep end but for a centre-back it’s more often than not a baptism of fire. Credit to Ajax coach Roger De Sa for the faith he has shown in the youngster. It’s impractical to expect a finished product at 19 but what stands out about Coetzee is that fact that his overall game has very few obvious shortcomings. The 19-year-old has a solid base to build on as his game awareness and decision making, both crucial aspects of defending, are well developed. The fact that he was capped at such a young age and he looked right at home for the Bafana Bafana is testament to both his maturity and ability as a footballer. He needs to develop physically especially if he hopes to fulfill his dreams of playing in Europe one day. 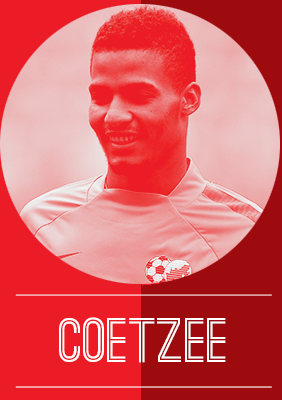 Coetzee certainly has the tools to make his way to European football, albeit after some polishing. Looking ahead: More of the same from the central defender would do just fine. Already a full International, Coetzee will be looking to be the player around whom the team can be built in the coming years. At club level, the obvious move would be to Ajax Amsterdam, one that has to be timed correctly to further his development. 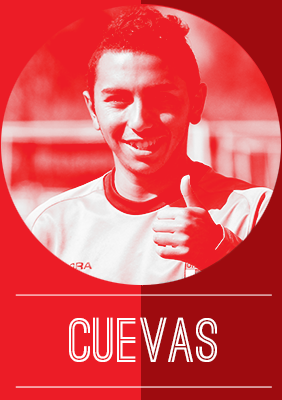 Introduction: Cuevas, a Chilean born defender, became a top prospect after making a name for himself playing for the Chile U-20 side. After a handful of senior appearances with his club team O’Higgins in Chile, he completed a move to Stamford bridge in 2013 on a 5 year contract. Ever since then he’s been loaned out several times by Jose Mourinho. His latest loan spell has been in Belgium with Belgian side Sint-truidense. Cuevas has impressed in his 13 league appearances for the club this season. Now that Mourinho is gone, Cuevas might get a chance to play for his parent club. 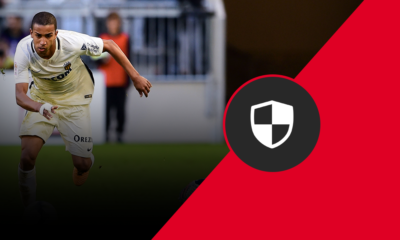 Analysis: Standing at 5’7″ and being just 20 years old, Cuevas has blistering pace and talent at left back for Sint-Truidense. Despite being played in the midfield as well as at left-back so far this season, his main position is the latter. Cuevas constantly uses his speed and agility to whip in a lot of crosses from the wing position, while he sets up teammates in the box and in attacking positions as a result. His speed makes him an ideal attacking full-back when given the freedom to attack. Cuevas is comparable to Hector Bellerin with his pace and attacking nature. He would be ideal in an Arsenal or Barcelona style system, where the full backs are higher up the pitch and play a large attacking role. Cuevas is also great with his free kicks, while earlier this year Cuevas scored a terrific free-kick against Brazil for Chile’s U-20’s. His set piece ability makes him a left back who can help a side in multiple ways. Cuevas’ attacking prowess gives him a lot of potential at left back with the increased attacking role of full-backs in modern Football. At this stage in his career, Cuevas needs to get better at tracking back and covering his gaps in the defense. The main thing that he will need to work on to cover the gaps will be tackling and winning the ball. If he can do that effectively, with his speed and talent, Cuevas should be able to become a solid left back in the Premier League for Chelsea or another side in need of his service. Looking ahead: With Mourinho no longer at Chelsea, a lot of young players with the club will either be sold or given a chance to play in 2016. Cuevas fits that bill for Chelsea, and after multiple loan spells the club wants to see what he is made of. On the Chilean National Team, the amount of talent on the side will make it tough and unlikely for him to feature for Chile in 2016. Introduction: In recent times the Vitesse Arnhem-Chelsea relationship has become a vital part of the progression of young starlets that The Blues occupy: Josh McEachran, Gael Kakuta, Lucas Piazon, the list goes on. The argument could certainly be made that it prohibits the growth of Vitesse youth products and as Brazilian right-back Wallace came through the doors at the GelreDome, the progression of Kevin Diks was put to a degree of threat. A year on Diks is one of the first names on the Vitesse teamsheet. Analysis: While the full-back spot has transformed in recent times, Diks certainly has an old-school feel. Last season no teenager made more interceptions (56), clearances (80) or blocked more crosses (9) in the Eredivisie and Diks also lead Vitesse in tackles per game (3), impressive numbers by any measure. The 19-year-old commands the right-flank for Vitesse, providing support to wide man Renato Ibarra whilst not neglecting his defensive duties. There is certainly room for improvement – as to be expected from someone of such a tender age – in the attacking side of Kevin Diks’ game. On average Diks completed a successful dribble every 141.7 minutes and only 10.7% of his crosses found a yellow and black shirt. However, there have certainly been advancements in Diks’ ability going forward; goals this season against Groningen – his first at senior level for Vitesse – and Excelsior are a case in point. Looking ahead: The growth of Kevin Diks has been exponential and it is showing no signs of letting up; Danny Blind and the Oranje could soon become the beneficiaries. With Gregory van der Wiel, Daryl Janmaat and Ricardo van Rhijn all largely flattering to deceive with the Dutch lion on their chest, the opening is certainly there for Diks in the near future. The 19-year-old extended his contract with the Arnhem based club until 2018 and Diks will be imperative to Kevin Bosz’s men as they look to secure a consecutive Europa League qualifying spot. 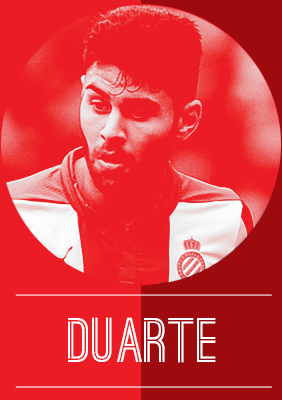 Introduction: Spain seems to be blessed with a surprising number of talented left-backs with Ruben Duarte one of those up-and-coming talents ready to make the step up. Having joined Espanyol at the age of 13, Duarte has progressed through the ranks at the club and is now an important member of the side. In terms of the national set-up, Duarte is definitely on Del Bosque’s radar as he continues his rebuilding phase. Analysis: Lower mid-table is just about what Espanyol deserve this season but the struggles of the club should not result in the glossing over of Duarte’s potential. The 20-year-old can also fill in at centre-back but his best position remains left-back, the position he has impressed in thus far. His consistency sets him apart from most of his peers and to do that in a club where the results are hardly staggering makes the feat more impressive. His physical attributes further aid his ability to slot in at centre-back providing a versatility in his game that will stand him in good stead as he embarks on his football career. He has a good reading of the game and is quite competent at both tackling and intercepting the ball to thwart the opposition attack. On the ball, he has room for improvement as he can be careless on it. In the days of high pressing and swift transitions, defenders have to be assured when bringing the ball out from the back and it’s an area that Duarte will be well served trying to improve. Looking ahead: Duarte has recently signed a new long term deal with the club, although these days those are nothing but high value bargaining chips. If he continues with the same pace of development, it only seems a matter of time before he’s on the move. For the national team, competition is fierce but the signs are good. He’s obviously rated by the men who matter and that senior cap looks around the corner. Introduction: This year Everton have returned to the form that we saw in Roberto Martinez’s first season as manager of the club. Ross Barkley, Romelu Lukaku and John Stones have led the way for a very young and exciting Everton team. In the absence of Leighton Baines, Brendan Galloway has quickly become a solid performer for Everton, and seems first team ready at just the age of 19. Bought from MK Dons in the 2014/15 season, the 19 year old has thoroughly impressed. His performances have been so good that he has drawn interest from big clubs, forcing Everton to sign him to a contract extension until 2020. 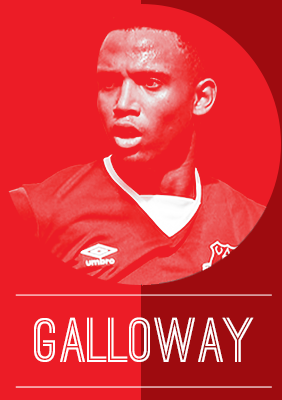 Analysis: A tall and slightly lanky player, Galloway has the ability to play centre back as well as left back. Fitting into the modern mould of a full-back, he is very comfortable getting up the flanks to support the attack. Playing for the current Everton side, his pace and ability to provide another attacking option is essential. Galloway has huge potential physical attributes. He’s tall, quick and has the stamina to run all day, as his old boss Karl Robinson said “He ticks so many physical attributes…..he is a fantastic athlete”. Without the ball, Galloway takes up very good positions in the final third. He gets forward well, always offers an option and has the ability to score goals within the box. He can travel with the ball, but sometimes makes mistakes with his passing. He needs to make better decisions and more quickly. Within Everton’s system, Martinez likes to push his fullbacks forward, thus Galloway can sometimes get caught out. Quick wingers can behind and catch him out on the counter. Although he has the pace to recover, teams will soon attack towards his side more often. In his own half, Galloway is a solid defender, even Martinez was surprised saying “more than anything now I have been impressed with his defensive urgency”. Galloway can defend one on one, stays on his feet well and tackles cleanly. In his own box, he does lose his man and needs to improve his defending of crosses and marking. At such a young age he has the ability to be a very good defender and capable of being a threat going forward. Looking ahead: Galloway certainly has a lot of options. With Leighton Baines ahead of him, he has a superb mentor to help him become a better player. After so many good performances, more game time in the first team cannot be far away. Internationally Galloway has been capped for the U19s, and if not for an injury he would’ve progressed to the U21s. Introduction: Following the steps of Jordi Alba and Juan Bernat, José Luis Gayà is the latest on the production line of Valencia left-backs, establishing himself at club level and in the process gaining rave reviews from all corners. He is proof of the success of the Valencia youth academy in recent years, both in recognizing his talent and in successfully converting him from a striker to a left-back, as they had done with Alba. 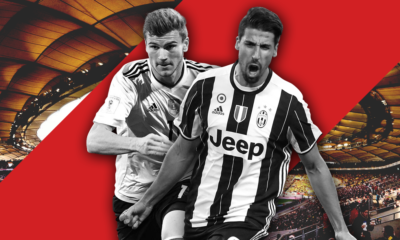 The recipient of the Talent Radar Defender of the Year award in the last season, Gayà is ranked among the top young defenders in the world simply for his defensive and attacking traits which allow him to carry out his role at left-back with aplomb. As he is given more time for development, he will grow into one of the best at his position in the very near future. And the hype around him is justified. Analysis: Gayà has been allowed to display his attacking process in his previous manager Santos’ Valencia, being allowed to overlap the left-winger, whether it is Santi Mina or Pablo Piatti. It is his overlaps which add another dimension to the Valencia attack, allowing the team to benefit from his work on the left hand side while the more defensive midfielders cover up for Gayà. It is this attribute of his which has allowed the team to prosper. Wing-backs are always expected to contribute to the attack as well as the defensive, and Gayà fits the bill perfectly. He could well be the quintessential left-back of this generation, one that can land a crunching tackle in the defensive third while also having a fair few shots at goal in the attacking third. As much a left-midfielder as a left-back, you can imagine Gayà tearing down defences along his flank and providing crosses for his fellow attackers to convert. His acceleration and ability to keep the ball have also allowed him to flourish on the left flank. If there is one weakness, however, in Gayà’s armoury, it is his reckless tackling. While his strong tackles allow him to win back the ball often, it also leads him to concede free-kicks in key attacking positions for his opposition, a flaw that will be ironed out as he continues to mature and develop. Due to his lack of height, he also ends up falling short in aerial battles, while man-marking remains another weakness of his. It’s clear though, that his strengths trump his weaknesses by a mile, and given his rate of development so far, it is likely that he will emulate his former Los Che left-backs in his burgeoning career. Looking ahead: Under the tutelage of Gary Neville, there is no doubt that Gayà will continue to rise from strength to strength, developing and learning along the way. At 20, he will benefit immensely from being first choice in his position for a club of Valencia’s level. While international football may be a step too far at the moment given the level of competition he faces (in Alba and Bernat), a call-up in May 2015 has paved the way for his inclusion, and with his strong form continuing into the new year, he may stand a chance at being included in the Spanish Euro 2016 squad. A bright career lies ahead of him. The next part (the next 10 defenders), will be published on Sunday.